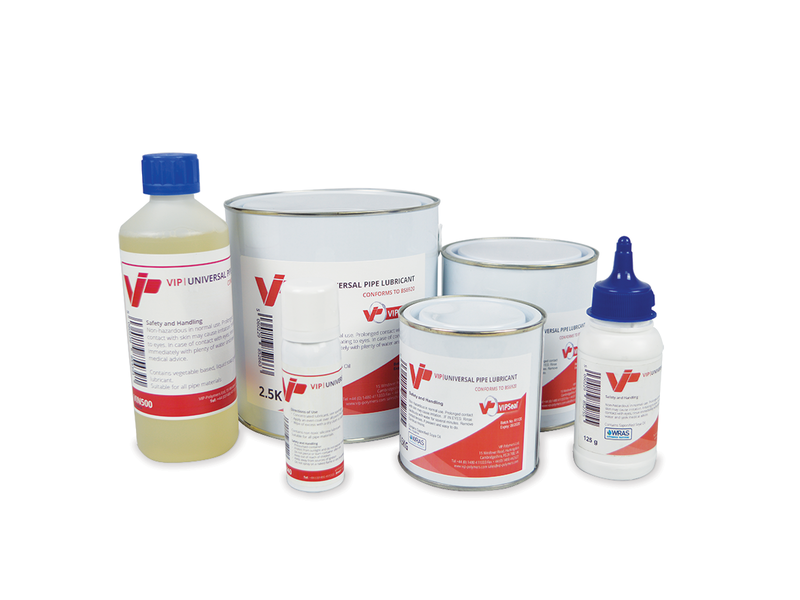 Universal Pipe Lubricant from VIP is a pipe-jointing compound has been specially formulated for use with water pipes and mains. Based on a vegetable soap lubricant it enables quick and easy repair of sealing joints on nearly all pipe materials including rubber, plastic, clay, cast iron and concrete. Apply lubricant as per the pipe manufacturer’s recommendation. Comes in 40ml, 500ml, 125g, 0.5kg, 1.0kg and 2.5kg sizes. Available in full carton quantities only.